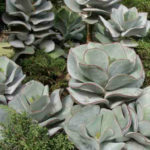 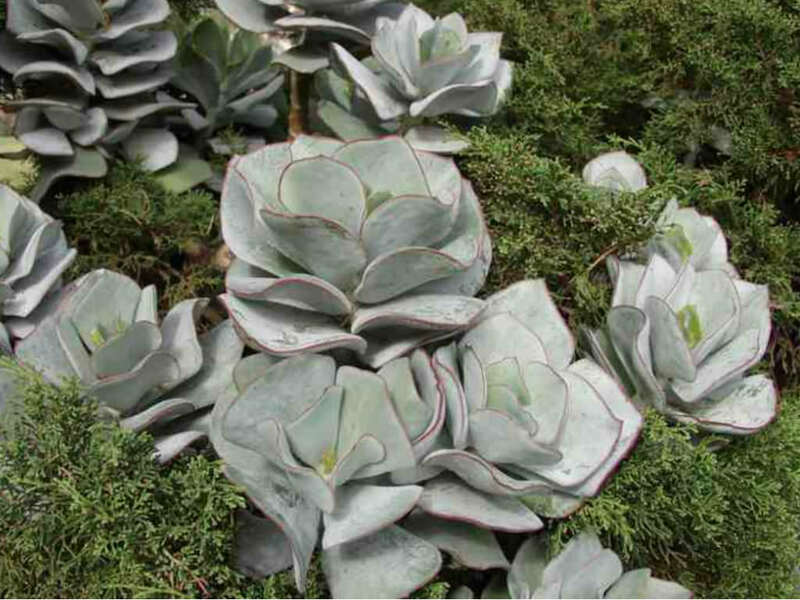 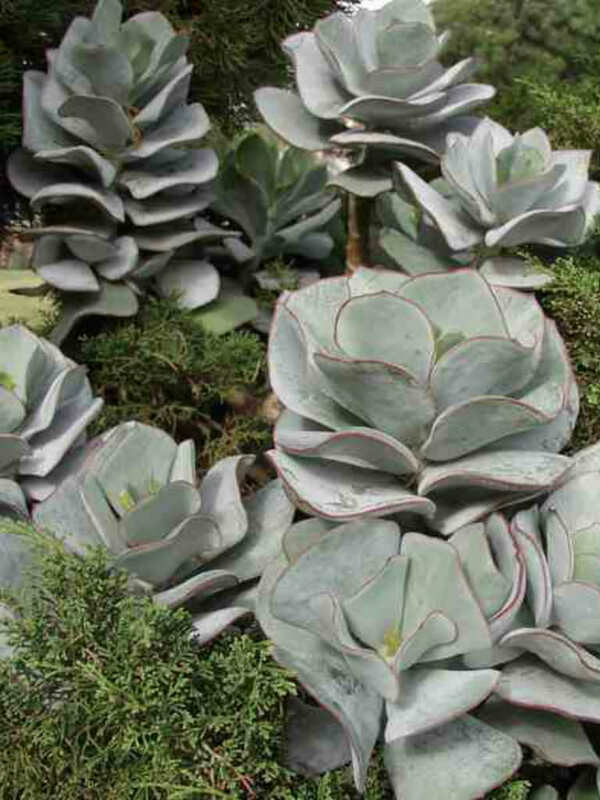 Cotyledon orbiculata ‘Lighthouse Road’ is an evergreen, branching succulent up to 2 feet (60 cm) tall, with broad, fleshy, rounded leaves and leaf edges lined with red. 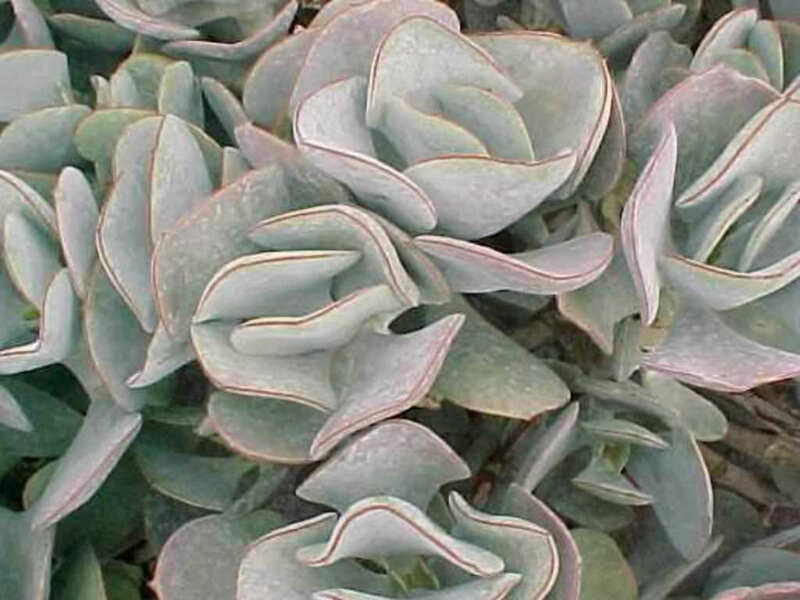 Orange, bell-shaped flowers dangle from flower stalks that rise above the foliage in the summer. 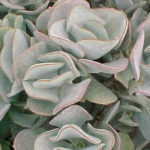 This cultivar has broader more regularly and evenly spaced leaves than other forms.